Diary of a canine convert: Dog Control Orders - Who is really in control of our dogs? Dog Control Orders - Who is really in control of our dogs? Earlier this week I was asked to participate in a radio interview about whether dogs should be kept on leads at all times in public parks. The interview came about due to some press coverage of Hull City Council's proposed Dog Control Order for East Park, which would mean all dogs would have to be kept on lead whilst in the park. Many parks and beaches that were once happy haunts for dog lovers now have Dog Control Orders in place - either restricting access to certain times of the year, or all-out year-round bans. ...those that still believe in the elusive dog poo fairy - that magical being that cleans up after dogs and disposes of their poop - or those who are completely oblivious to their off-lead dogs and believe in the power of mind control, or some invisible bond, when it comes to recalling them! The radio interview was on the Peter Levy show on BBC Radio Humberside and Lincolnshire. Of those interviewed, the overwhelming opinion was that dogs do need time to be dogs, to have off lead time and that it's a minority of dog owners who spoil it for the majority. You can listen to the interview below. 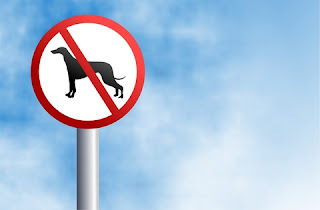 If you're interested in finding out more about Dog Control Orders, KC Dog is a useful website providing information on dog control consultations and if, you're interested to know what legal obligations all dog owners have there's a great Information Guide - Do You Know Dog Law? 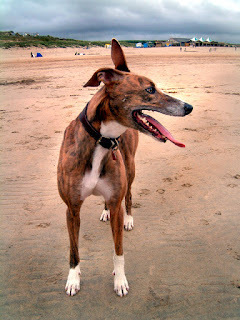 - available on the Kennel Club website. The interview got me thinking even more about how less tolerant society has become towards dogs in general. To me, it seems that there are less and less opportunities for our dogs to be dogs and that dogs are fast losing their "Man's best friend" status. Even in the small village where I live there has been talk of banning dogs from the playing field (thankfully this hasn't materialised). This would leave the village with no green space to exercise dogs on and would be greatly missed. Maybe I'm painting too bleak a picture but there don't seem to be many good news stories in the press and media about dogs. The news seems to be full of stories of 'dangerous dogs', dog attacks, cruelty cases and corresponding pictures and dognappings, all coupled with stories of overflowing rescue centres and record numbers of dogs being abandoned. One thing's for sure - the blame for this lack of tolerance certainly can't lie with our dogs. We're responsible for their care, well-being and training. If blame is to be apportioned it has to lie squarely at the feet of unthinking and irresponsible dog owners. Those who don't clean up after their dogs, let them off lead without having a reliable recall, let their dogs roam or simply can't be bothered to train them, not only let their dogs down but let the majority of responsible dog owners down too. So, what does the future hold for dogs in the UK? Will we see the introduction of dog parks like those in the USA? Will microchipping be made compulsory? Will the dog licence be brought back? Will the laws affecting dog owners become more stringent? Whatever the future may hold, I hope that those places and venues that are dog friendly remain so. Most of my favourite memories stem from holidays and days out with my hubby and the hounds: I'd like to build on those memories - not lose them. PS Don't forget, every comment left on my February 2012 posts gets entered into our Countdown to Crufts giveaway to win* a pair of Crufts tickets. Giveaway is open to UK residents only. Prize consists of one pair of tickets to Crufts for each of the two winners (tickets are valid for the day of the winner's choice). Good topic! it's a very interesting debate. 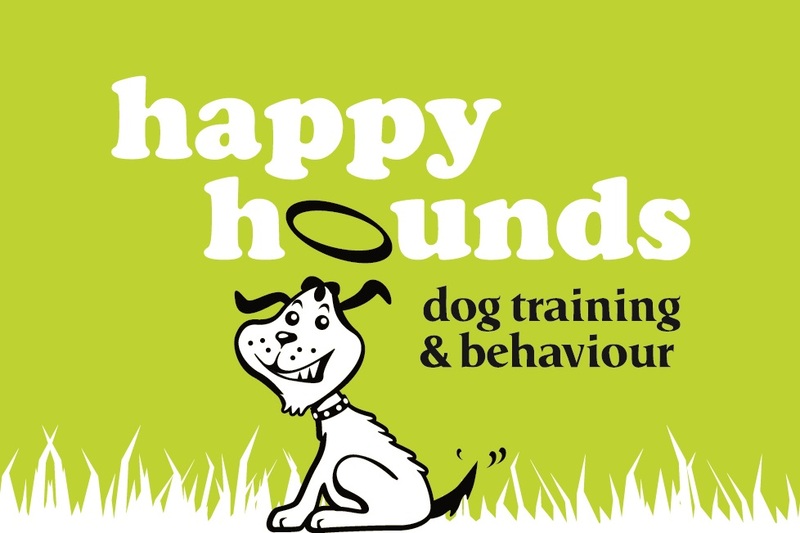 I do think that lack of responsibilty by dog owners is such a problem and people don't think a about the time and effort required to train a dog to be a safe sociable animal. Too many people just expect their dog will 'come back when called' and wonder why when they are screaching and hollering.... fido has legged it to the dog on the horizon! Poo picking is my absolute bug bear and even on residential streets, people use the dark mornings as an excuse not to pick up. I think in areas open to families, like parks, the orders have a place, but I think the general public should also acknowledge that a dog is a dog and there are odd occasions when even the most relaible, friendly dog, will have an off day. Thanks Clare. It is a hot topic of conversation and I do think more and more councils are going down the Dog Control Order route. I do think it is a shame that more and more of our parks are coming under Dog Control Orders. It really leaves dog owners with very little opportunity to exercise our dogs in a pleasant environment. Like you, one of my biggest bug-bears are those who don't clean up after their dogs. In my small village there are 5 dog waste bins. Outside the playing field is the bin and a strip of grass, where I encourage my hounds to poop before going into the field. The poop bin is on the way in to the field and guess what? Yep - there are those who can't be bothered to clean up their dog's mess on the strip of grass and put it in the bin. It makes me so mad!